How to quickly create new individuals, organisations or deals. 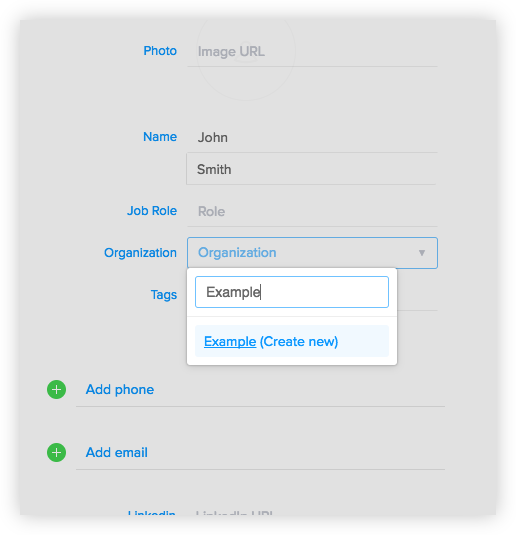 When in SalesSeek to quickly add new types of records click on the + Create New button in the navigation bar. From here you can quickly create any type of record and they follow the same process. This will allow you to create an Individual, or a Lead. 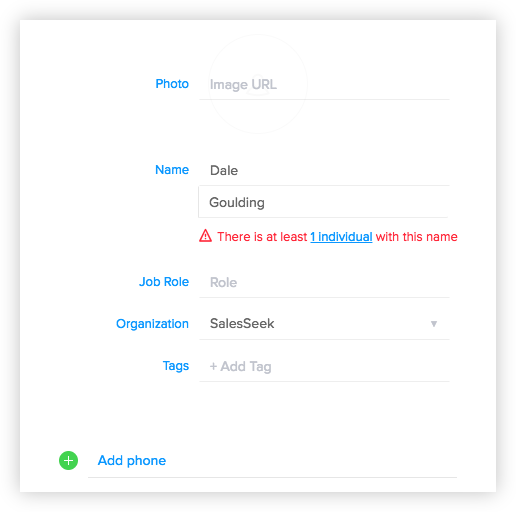 An Individual is a contact in your database, a Lead is an Individual that has the Lead Source value selected. 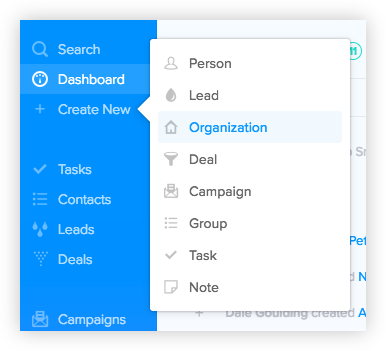 Leads will also display in the Leads group. From here you will be able to add in all the information you know about the individual. 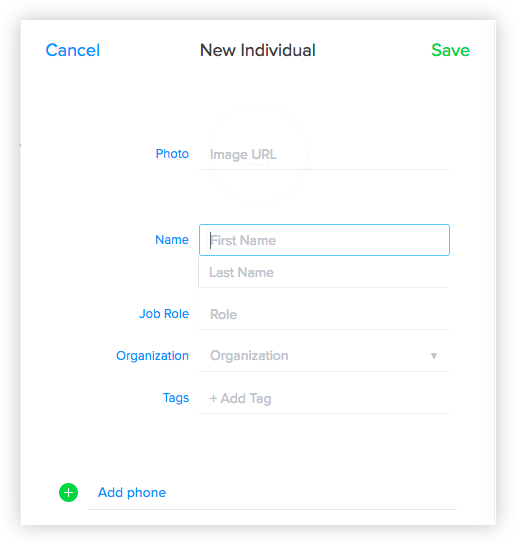 When filling out the Organisation field, if the organisation does not yet exist you'll be given the option to create it here. (Create New) will appear next to the organisation name, if it does not exist. Later you can go an add in more information on the organisation. If you are trying to add a contact who already exists in the system then they will show an indication of a likely duplicate. The process for creating organisations is largely the same as creating individuals. To create a Deal you must have an organisation for it to be associated with. 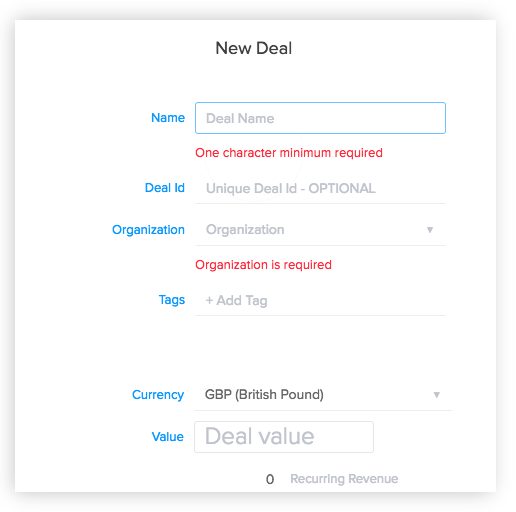 When creating a deal the Name and the associated Organization are required fields.